How is it that junk pays? Are you moving and ready to part ways with those few items you?ve been staring at for years or simply won?t fit in the new house? Did a family member move out and leave behind furniture or items that you don?t feel like storing? Have you been trying to reclaim your basement, garage, or attic but you can?t until you get all the trash removed? This is our bread and butter service and is done with such great efficiency that other companies just can?t compete price wise. We are NOT VOLUME BASED, so rather than showing up with a truck and then charging you by how much space it takes, we actually reduce the price based on the items we can donate, recycle, and resell. We evaluate the items to be removed and create a cost-saving strategy. 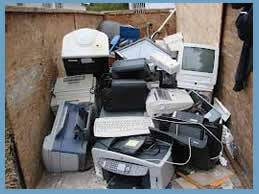 Call us to schedule a pickup and see how much junk pays.